Go to $HADOOP_HOME/share/hadoop/common/lib directory and check whether already same version is present. Copy avro-mapred-x.y.z-hadoop2.jar into $HADOOP_HOME/share/hadoop/tools/lib and $HADOOP_HOME/share/hadoop/common/lib directories. Add the above directory path to classpath in .bashrc file. 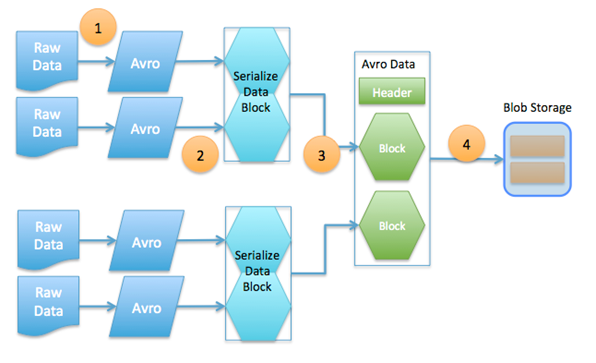 cp avro-mapred-1.8.2-hadoop2.jar avro-tools-1.8.2.jar $HADOOP_HOME/share/hadoop/tools/lib/ cp avro-mapred-1.8.2-hadoop2.jar $HADOOP_HOME/share/hadoop/common/lib/ nono ~/.bashrc #### export CLASSPATH="$HADOOP_HOME/share/hadoop/tools/lib/*.jar:$CLASSPATH" export PATH="$CLASSPATH:$PATH"
This Article Has Been Shared 1160 Times! Cite this article as: Abhishek Ghosh, "How To Install Apache Avro On Ubuntu Running Apache Hadoop," in The Customize Windows, June 11, 2018, April 21, 2019, https://thecustomizewindows.com/2018/06/how-to-install-apache-avro-on-ubuntu-running-apache-hadoop/.